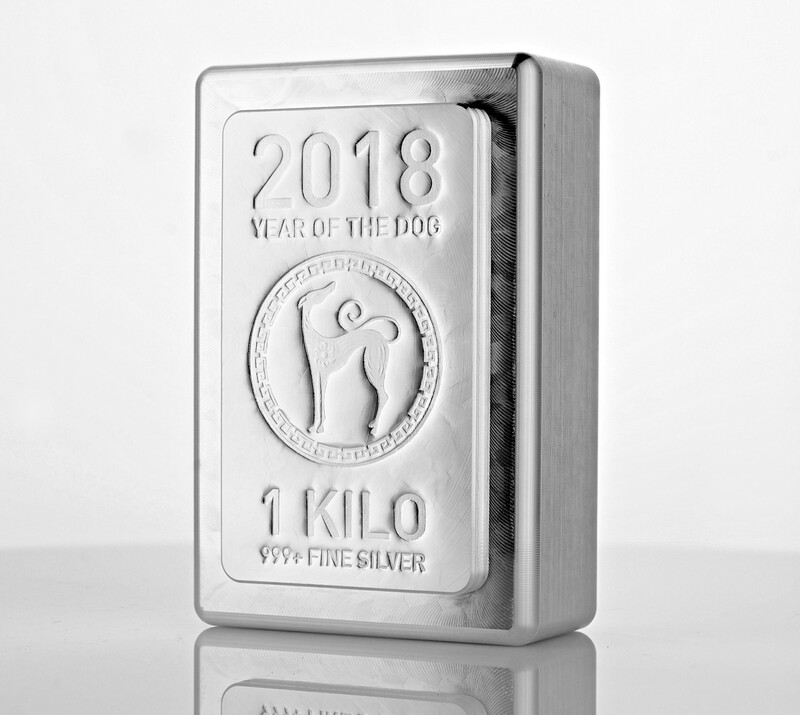 Introducing the 2018 - 1 Kilogram Heraeus Lunar Silver Bar "Year of the Dog"
This Stacker® series silver bar retains it's strong Swiss affinity, but with a Chinese Lunar twist. Each 1 Kilo Heraeus Lunar Silver Bar has beveled, interlocking edges that stack for safekeeping. For added security, each bar is equipped with micro-reeded perimeter, an anti-forgery swirl pattern on the reverse, along with a unique serial number. The 1 Kilogram Lunar Stacker is fabricated of .999+ fine silver and weighs in at 1000 Grams.